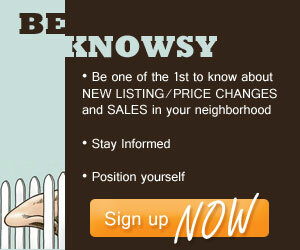 1031 Exchange in Hawaii | Koa Realty, Inc - Search Big Island Hawaii Properties for sale. Defer capital gain taxes and keep 100% of your investment working for you! Hawaii has a high percentage of rental and investment properties. Section 1031 of the Internal Revenue Code (IRC) provides for the deferment of long-term capital gain taxes on the sale of investment real estate when it is exchanged for other investment real estate of equal or greater value. So owners who would like to sell their properties and cash in the gain need to understand how to defer capital gain taxes through a 1031 Exchange. ALWAYS talk to a Realtor and tax adviser or CPA before deciding if a 1031 Exchange is the best option for you! What properties qualify for an Exchange? When is an exchange not beneficial? How do I go about doing a 1031 Exchange? What is the timeline for a 1031 Exchange? How is the exchange value of my property determined? What are the costs and fees associated with doing an exchange? What are some of the key rules to be aware of? Can I use funds held by the Qualified Intermediary for costs associated with the replacement property? Can I refinance the replacement property before I exchange it? Can a property that includes my personal residence and a rental unit qualify for an exchange? Can I rent new property to someone who is related to me? Can a property of a relative be involved in the 1031 exchange? A 1031 exchange allows a property owner to exchange one or more real estate properties (called the relinquished property) for one or more like-kind properties (called the replacement property), so that no gain is realized and the payment of federal taxes and some state taxes are deferred. Note that the taxes are deferred, not excluded, and could be subject to collection if you subsequently sell the new property without conducting another 1031 exchange. In a 1031 Exchange a Qualified Intermediary (QI) or Accommodator is used so that the property is sold without the owner actually receiving any money, therefore there is no tax paid at that time. Title and escrow companies can function as Qualified Intermediaries. The QI holds the money, watches the timelines, and makes sure the funds are dispersed correctly. There are many companies in Hawaii who perform QI services so ask your Realtor who they would recommend in order to get the best service. In order for a 1031 Exchange to work you may not receive any of the money yourself. However someday when the property is sold without an exchange, the owner may be subject to tax. A property must meet three rules in order to qualify for an exchange. Qualified Use: The relinquished and replacement properties ALL must be used in trade, business, or investment. Investment real estate is any real estate other than your primary residence or a second home. It is usually a rental property that is either residential (a house, townhouse, condo, etc) or commercial (an office building, warehouse, strip shopping center, etc). Investment properties could also be vacant land. Properties do not have to be in the same geographic location. 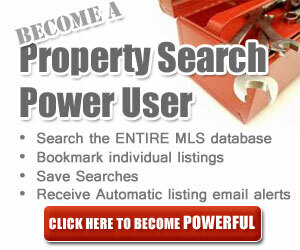 You can sell a property in Hawaii and buy another in Oregon. Like kind: The replacement property and relinquished property must be “like kind” which means that both must be held either for use in a trade or business or for investment but the properties do not have to be similar in service or related in use. For example a like kind exchange could be selling a rental condo in Washington and buying a single family rental in Kona. Property Value: To defer all your capital gains taxes, you must buy replacement property that is equal to or higher in value than the relinquished property. Again, the value would be the sales price less the closing costs. 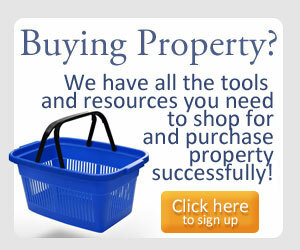 You must also reinvest all the cash proceeds from the sale into the purchase of the replacement property. If the replacement property is less than the sold property then you may have to pay capital gain taxes on the difference. Due to the value of real estate in Hawaii, you will likely be pushed into the higher tax brackets if you have owned the investment property for a significant period of time and the resulting tax bill could be costly if you don’t conduct a 1031 exchange. If the replacement property is purchased for less than the relinquished property is sold for, then gains are realized and taxes paid. However, if the replacement property is at least $1 more than the relinquished property gains can be deferred. The disadvantages of a 1031 exchange include a reduced cost basis for depreciation in the new property. The tax basis of replacement property will be the purchase price of the replacement property minus the deferred gain on the relinquished property. So the replacement property includes a deferred gain that will be taxed in the future when the house is sold without an exchange. A 1031 exchange is not the right investment tool for everyone. Due to the added complexity from recent tax law changes, it is recommended that you speak with a Certified Public Accountant (CPA) or tax attorney prior to deciding on a course of action. First and foremost, if you are interested in doing a 1031 Exchange, talk to a Realtor who understands the rules and has been involved in previous 1031 Exchanges. It is also helpful if they have a relationship with an Qualified Intermediary who is familiar with the rules. Even a small mistake can cost thousands of dollars in taxes! You must make it known to your Realtor and a Qualified Intermediary that you want to do a 1031 Exchange BEFORE you sell your relinquished property. You must identify and inform an Qualified Intermediary before you sell your investment property. 1) Within 45 days of closing on your relinquished property, the replacement property must be identified in writing to the Qualified Intermediary. You can make changes any time within the 45-day-period; however, after this period you are locked-in to whatever has been identified as the replacement property. You can identify up to three properties so that if during closing one falls out of escrow you have a backup property to pursue. As a contingency, most exchangers identify more than one replacement property. 2) Within 180 days of closing on your relinquished property, the replacement property must close. If your preferred replacement property falls out of escrow, you can shift to another replacement property that was identified during the 45-day-period; however, it would still have to be closed within the 180-day-period. In an exchange, timing is everything. Failure to meet the 45-day or 180-day deadline negates the tax-deferred 1031 Exchange. Basically, the value would be the sales price less closing costs. Exchange value is the gross selling of the Relinquished Property minus deductible costs of sale but including the amount used to pay off the mortgage. Loan fees and prorations are not deductible and do not reduce exchange value or increase the amount deemed to have spent on the Replacement Property. The Exchange value is not the bottom line on the closing statement and is not an amount some escrow companies call “exchange value credit” which is usually the amount of cash transferred to the Qualified Intermediary. Exchange value is also not the cash received or the profit or taxable gain. See Exhibit A for a calculation of exchange value. However, the majority of the Qualified Intermediary’s 1031 Exchange revenue, or about two-thirds, is comprised of interest income earned and retained on the 1031 Exchange funds. Qualified Intermediaries will retain or share all or a portion of the interest income earned on your tax-deferred exchange funds while they are on deposit or held by the Qualified Intermediary. You do need to evaluate the amount that will be retained by the Qualified Intermediary and the amount that will be paid to you in order to clearly understand the total amount of fees you are paying to your Qualified Intermediary. Be sure you understand the total fee structure before making a final selection of your Qualified Intermediary. It is unlikely that a property owner who wishes to be involved in an exchange is knowledgeable of all of the rules involved. That is why it is of the utmost importance to consult with a Realtor and an Qualified Intermediary before making a decision to enter into an Exchange. This way you can determine if an exchange is even possible for a given property and whether it will be of financial benefit to your situation and goals. The replacement property’s title must be taken in the same way as the relinquished property. If a husband and wife own property in joint tenancy or as tenants in common, the replacement property must be deeded to both spouses, either as joint tenants or as tenants in common. The replacement property must be like-kind. Like-kind replacement property means any real estate held for income, investment or business use. A house in Waimea can be replaced with vacant land in Kailua-Kona, as long as both are for investment. Investment property can be exchanged for business property. A personal residence cannot be exchanged for anything. One property can be exchanged for two or more properties. Two or more properties can be exchanged for one replacement property, and as long as the new property is worth more than the old one by at least $1 there will be no tax. The Qualified Intermediary can only advance funds from your account for items that will be refunded if closing doesn’t occur, the most common example being earnest money. The cost for items like a feasibility study, architect fees, etc. would not be refunded if the deal fell through; therefore, the Qualified Intermediary cannot advance funds for those purposes. However, if those costs are shown on the settlement statement at closing, they can be paid at that time with funds from your account held by the Qualified Intermediary. If you were to refinance the relinquished property in the year prior to selling it, you could have a problem with the IRS, as they might argue that your refinancing was done to circumvent the prohibition of receiving funds from the replacement property. On the other hand, if you could show the funds from the refinancing were used strictly for bona fide investment purposes, you might have a counter argument. You should discuss this with your attorney and Qualified Intermediary. Boot is anything given or received by the exchanger that is not like-kind or does not qualify under 1031 rules. Boot can be in the form of cash, promissory note, or in the form of debt (like a mortgage). Any boot received in connection in the sale of the relinquished property that is not offset by the boot given on obtaining the replacement property, is gain that must be recognized. Any Boot (gain, money) received will be taxable. This is okay when the seller is willing to pay some taxes. Otherwise, boot should be avoided in order for a 1031 Exchange to be completely tax-free. In a partial exchange, any money that you use from the proceeds of your sale will be considered as boot and therefore will be taxed. Yes. Consult with your CPA or tax adviser to determine the percentage value of the property you have attributed to investment. You may exchange that portion of the value. The longer it is rented, the easier it is to show investment intent. The most common time frame is one year and one day, however, there are other opinions. This is a question to discuss with your tax adviser and Qualified Intermediary. Yes, however, the rent must be fair market rent for the property and the rental payments must be documented. Otherwise, the IRS may rule that the property is merely a second home, which would not qualify for a 1031 exchange. Section 1031 of the IRC states that you cannot sell to or buy from a related party unless both parties hold the properties for two years after the exchange. A related party includes your parents and grandparents, your siblings, your spouse, your children and grandchildren, and any business organizations where you or your relatives are members. Yes. A leasehold property must have at least 30 years remaining until the expiration of the lease (the expiration date, not the renegotiation date). Checklist for Exchangers: Consult this checklist to make sure you don’t miss any steps in the process! Old Republic Exchange Company (OREXCO) e-report: This e-report explains the expenses involved and how they affect an exchange. OREXCO 1031 Exchange Brochure: This 16-page booklet provides more comprehensive information on 1031 Exchanges. For those who like pictures check out the infographic!